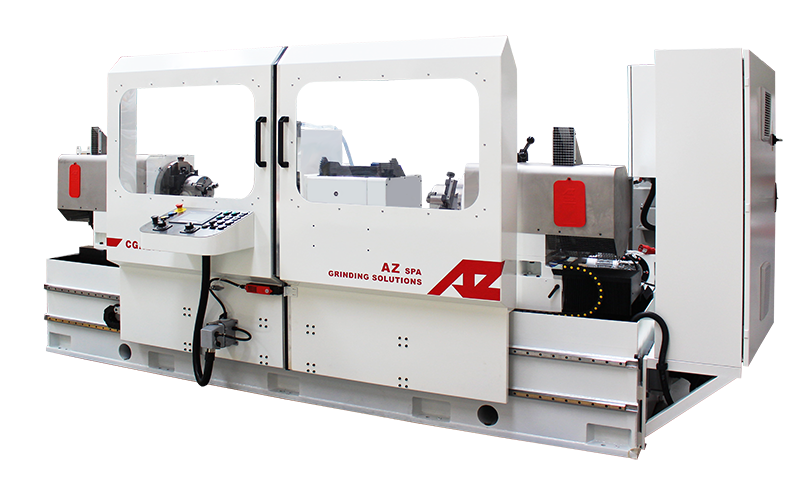 AZ Presents Our New X-Series Line of Equipment. Increasing the Speed and Precision. Bringing Tomorrows Technology to You Today. Crankshafts grinding machines new design: CGA and CGX models move the grinding head on the base, this solution permit to reduce the overhall machine dimensions. 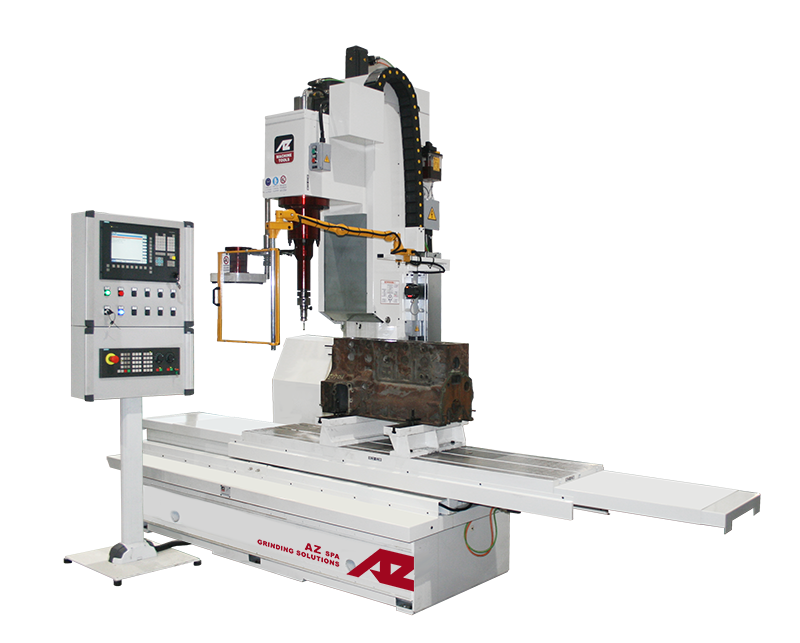 The workpiece is clamped by headstock fixed on the base and tailstock moving on table support by linear guideways. Grinding wheel carriage is movable on Z and X axes by ballscrew and guideways, in the CGX model the X and Z axes moves by linear encoder. 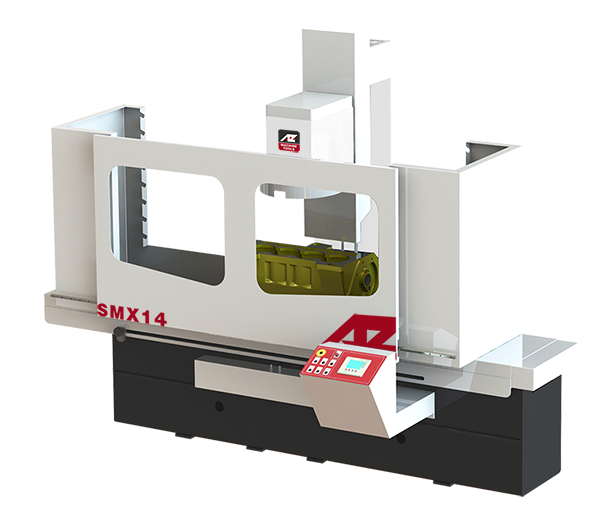 New SMX14 surface milling machine with PLC control, allows to program and memorize working cycles. The table moves on linear guideways, recirculating ball screws on the table and column. New touch pen device for workpiece height identifying with the possibility of interpolating for surfacing on non-horizontal surfaces. CNC Vertical boring milling machines with ISO professional custom programming. Complete automatic working cycle: the boring head moves from bore to bore automatically and all setting are memory saved. Wireless probing system for automatic centering and measuring. 3 Axis movement by precision ball screws and brushless servomotors. Automatic changing of tools with storage for 4 tools. VVX new valve seat refacing machine with fixed or live pilot. Precision ball screw with automatic micrometic feed. Boring head with pneumatic system for airfloat boring, infinite variable boring speed and can tilt ±30° degrees. The machine is equipped with universal rollover fixture complete with clamping devices which can rotate 360° degrees. LCD touch screen control panel. 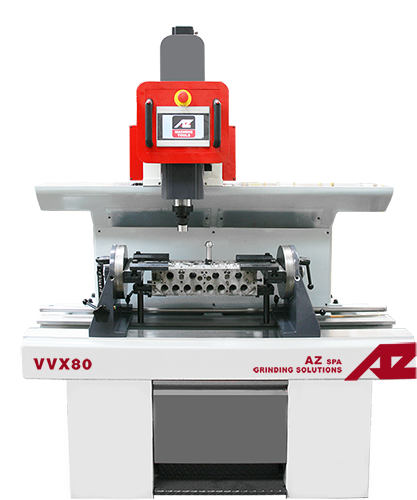 VGX150 Valve grinding machines with new chuck design. The new VGX is equipped with an air activated, self aligning six-ball chuck that assures alignment and accuracy on valve positioning. The two sets of 3 balls automatically find the existing valve stem centerline to achieve optimal valve grinding accuracy. Quickly air-activated full diamter chuck opens system with button touch. Work through a wide range of valve sizes without stopping to change collets or make chuck adjustments. New column and grinding head for the new tangential grinding machine RTX. PLC control system including preset of surfacing, spark out, head feed and return to start position: automatic dressing cycle and two automatic grinding cycles (zig-zag and step-by-step). Linear ball guideways system on the table. Ballscrew system with brushles motors direct drive. Equipped with automatic lubrication system. Possibility to have adjustable diamond wheel dresser on wheel head.